Brake Repair in Detroit | Ray Laethem Chrysler Dodge Jeep Ram " "
Do You Need Brake Repair in Detroit, MI? Your brakes are one of the many pieces of your car that gets the most wear. A good set of brakes could be the difference between stopping in time to having to deal with a lot more problems. You should always follow the manufacturer’s guidelines, as the mileage of when to get your brake pads changed depends on your vehicle and your driving habits. The more driving and the harsher conditions you’re in, your brakes are more inclined to wear out faster. And with Detroit’s winters, you’ll want to have a good set of brakes. Like we mentioned before, your driving habits can greatly affect the condition of your brakes and when you should replace them. For example, if you tend to brake hard and stop abruptly frequently, this can lead to more worn-out brake pads. If you’re subject to a lot of stop and go traffic, your brakes will more than likely wear out a lot faster. The material and hardness of your brake pads can also affect how long they will last. Our technicians at Ray Laethem CDJR will be able to find just the right pair of brake pads for your vehicle. If you’re unsure about when to get your brake pads replaced, it’s best to have the brakes on your vehicle inspected for the most accurate assessment. Whenever you’re in our shop for an oil change or tire rotation, ask our staff to check on your brake pads. It only takes them a few minutes and could save you a headache down the road. If your brakes squeal whenever you press the brake pedal, or if you hear grinding, it is safe to say you need to bring your vehicle in immediately for an inspection. Another sign to look for is if your vehicle shakes while you brake. This could be a sign of warped rotors, which can also be assessed at Ray Laethem CDJR. When your brakes are starting to go bad, they will let you know very audibly. Whenever you start to hear your brakes, it is a good sign to get them checked out by a service professional. Here’s a list of some common sounds you might hear when your brakes start to go bad. It may be time to have your brakes investigated by a trained professional. Our service professionals at Ray Laethem CDJR can inspect the condition of your vehicle’s brake system and let you know if it is time to change them. To keep your car running at its best form, replacing your brakes is a must-do. Our service center is more than qualified to inspect and replace your brake pads when needed. We can diagnose when your brakes have gone bad, and make sure you get the right pads on your vehicle. 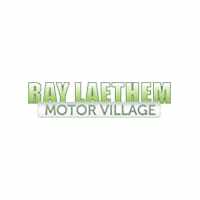 Contact us today at Ray Laethem for a check-up or make an appointment to get your brakes serviced today.